I love doing series and outside of the whole Live Your Best Wardrobe- I wanted to give you a series on beauty because a girl has got to be the entire package. The key to maximus fabulousness is the head to toe statement. Meaning, beauty and grooming are key components alongside outfits. So many people think that when it comes to make-up and skincare there is no way to go cheap- Ha! I am laughing in your face! Beauty is actually one of the most costs effective and it is an industry that makes good on its promises of both affordability and quality. Check out what I like to refer to as my top five discount brands to give great face. Short for Eyes, Lips and Face I discovered this line at the one and only Jack’s World a.k.a. my favorite store of all time. 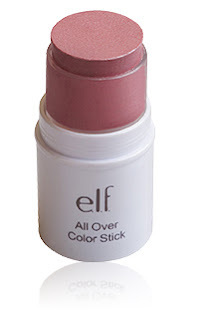 ELF is great for their individual lip and eye color. Buy a couple and stash in your draw at work and you will always have a quick beauty booty. They also have some pretty sweet brushes. The Blusher and eye shadow brush are akin to Shiseido and at $1 for each item you can really stock up! AAAh, my love for Jordana started as but I was just a wee lad. 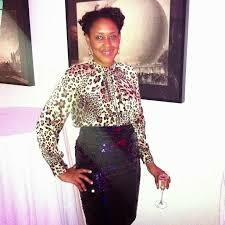 Actually, Mom Dukes wanted me to stop playing in her Clinique and Estee Lauder and told me to hit up Duane Reade and try Jordana with my allowance. I have been a fan since. 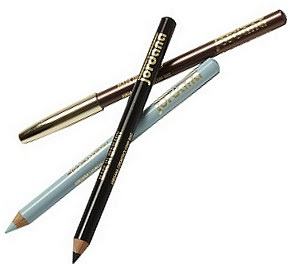 My all time favorite product is their eyeliners. Easy to go on and great pigment I have been going strong with Easyliner for Eyes in Seagreen and at $2 it is my go to eyeliner. Some of my favorite items are by random purchases. Walgreen’s has one of the best beauty sections out of all of the drug stores in NYC. Indulge Beauty is what I like to call my little secret. The Luscious Lipglass in Tasty is a flattering neutral gloss that doesn’t make you look like you ate a bucket of KFC. Indulge retails for around 2- 4 dollars. A few days before prom and working off of a P/T Gap salary and my own hubris, I decided that I was going to do my own make-up. I know I needed powder but, I have never been a fan of the actual powdered look. 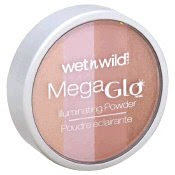 I fell in love with Ultimate Bronzing Powder by WnW. It went on smooth, it did the job of powder minus the ashen effects and my grandmother a die hard Fashion Fair fan tried to steal it from me. Wet “n’ Wild also makes one of the best red lipsticks in this world, 509A. When I was going through a red lip phase and was not even thinking about MAC or Nars, I played around with 509A and 522A and haven’t gone back since! The lipstick is around $2.59 each and the bronzer goes for $3.69. I saved this one for last because this line is pretty hard to fine and goes grossly overlooked. I haven’t tried that much from this line but of the few products I have, I feel like a glowing queen of the Nile. I love using the Liquid Radiance which is sort of like a primer, lightweight foundation and bronzer mixed into one. When I am going for a full face of makeup I put this bad boy all over and then add a little bit of foundation and voila- all over coverage minus the dead look. This line also has a fantastic selection of loose eye shadow that make your eyes pop! Alright guys, next time you feel bored with your make-up routine head out not to your local department store and leave out poorer and clown like. Instead, try your local drug store and look for these lines instead of the usual Cover Girl and Maybeline stuff! Go home play around and know that if it didn’t work, it didn’t make a major dent in your pocket! Stay tuned for next weeks- hair and skin care on a dime postings! Have a great weekend!